Florida, US (BBN)-SpaceX has at last managed to launch its latest mission from Cape Canaveral. 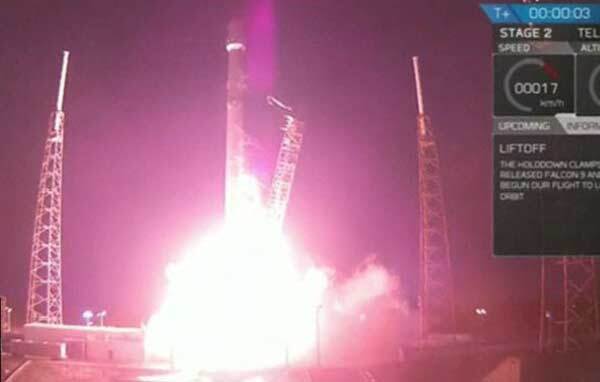 After some frustrating postponements over the past week and a half – including a last-second abort on Sunday – the company’s Falcon rocket left its Florida pad right on cue on Friday, reports BBC. A drone ship was placed more than 600km offshore in the Atlantic Ocean to receive the returning booster – but the procedure was unsuccessful. “Rocket landed hard on the droneship. Didn’t expect this one to work (v hot reentry), but next flight has a good chance,” SpaceX CEO Elon Musk later tweeted. SES will be delighted to have its satellite in orbit. The new platform should have gone up months ago but has had to wait for SpaceX to work its way back to normal operations following a launch failure last June. SES has been among the young rocket company’s most bullish supporters, and it has told SpaceX that it is keen to fly a future satellite on a recovered and refurbished booster. We should also see the beefed-up Falcon-Heavy rocket make its debut at some point. This vehicle straps three first-stage boosters together to gain significant extra performance. And throughout 2016, SpaceX will be working on its Dragon astronaut capsule. This will be flown initially in an unmanned configuration, with astronauts set to take their first ride to the International Space Station next year.